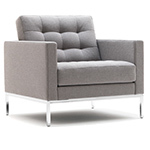 In celebration of 100 years of Florence Knoll and in honor of her legacy, Knoll has launched a new set of designs inspired by archival products. 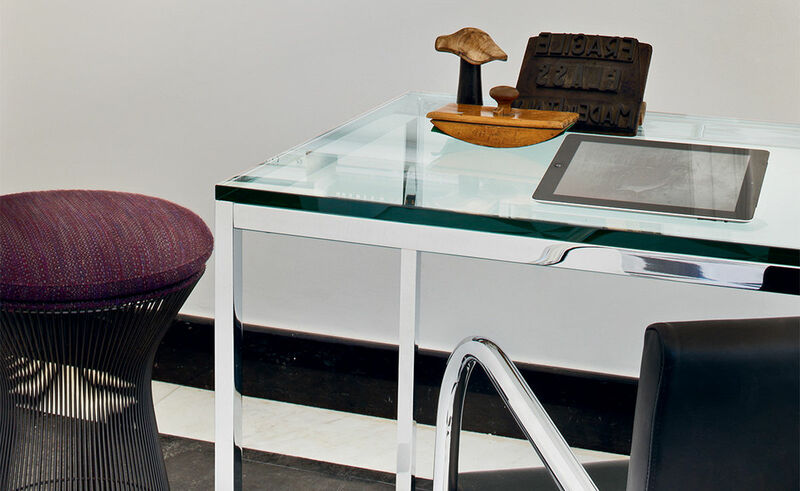 Influenced by her groundbreaking collection of occasional tables and executive desks which became the gold standard for the industry, KnollStudio has introduced the Florence Knoll Mini Desk. 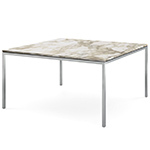 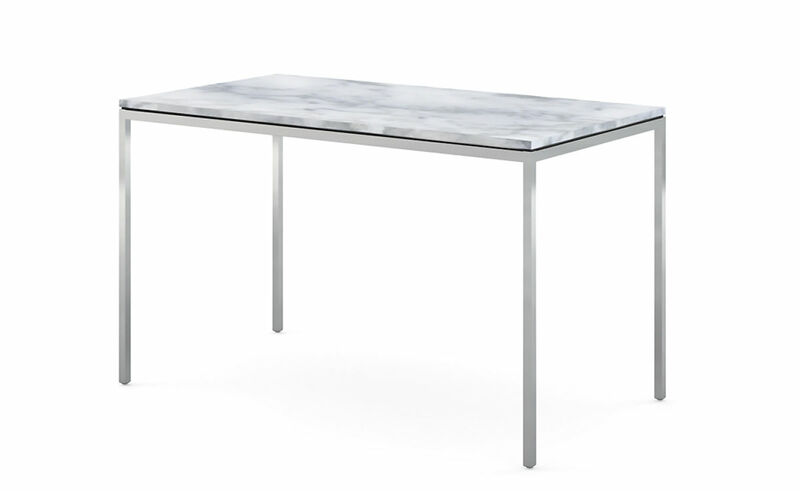 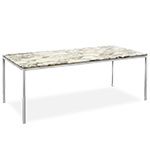 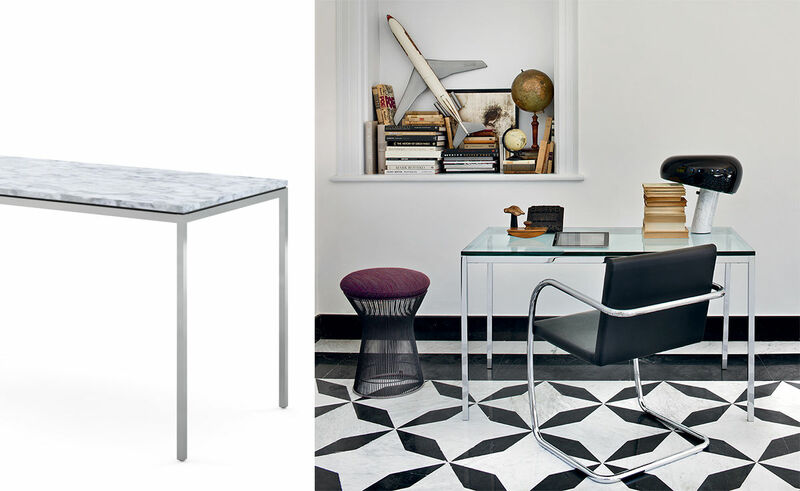 The Florence Knoll mini desk features either a polished plate glass top or marble tops. 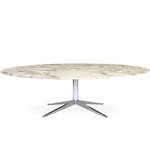 The marble tops have a transparent polyester coating in polished or satin finish to help eliminate use-associated stains. 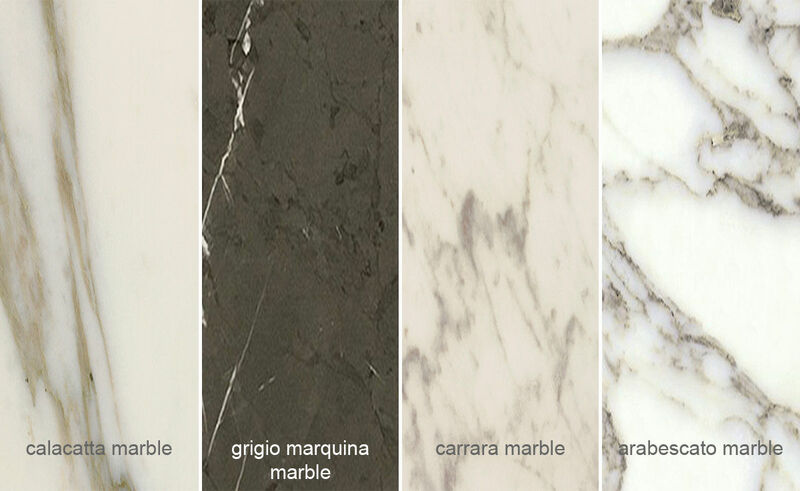 Please note: Marbles with a coating will yellow over time giving the marble a warmer tone. The legs are solid steel bars connected to horizontal steel tube rails using steel connectors in polished chrome finish. 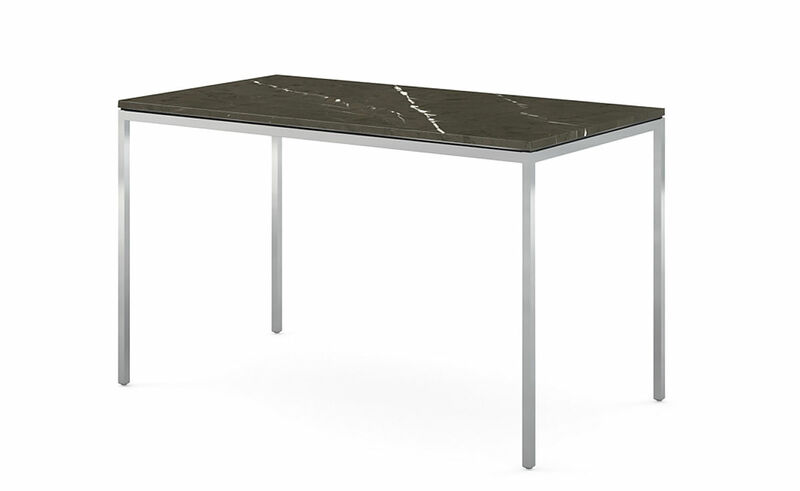 The KnollStudio logo and Florence Knoll's signature are stamped into the base of the table. 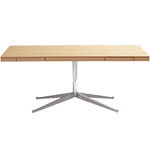 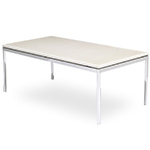 $2,084.00 + plus shipping in the continental U.S.